Character. Cost: 8. STR: 7. 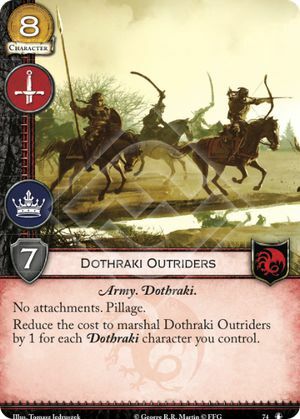 Reduce the cost to marshal Dothraki Outriders by 1 for each Dothraki character you control.